Routines can help you get things done, but they can be so boring and predictable. When you are stuck in a rut, your life is not as interesting and happy as you want it to be. How can you make your life more adventurous and more exciting? Easy! There are so many things you can do spontaneously today. They might not be for everyone, but sometimes doing something daring can bring the spark back into that dull life. Check out the list of the most spontaneous things you can try today. Yesterday you saw a nice pair of jeans or a bold red dress and you didn’t buy it. You may think that you’d never be able to wear those jeans or that dress. Actually, you can! Go shopping and buy things that can change your style. Don’t be afraid to rock a new style! It’s one of the most spontaneous things you can do today to impress everyone around you. Tattoo is not for everyone, but my friend took this bold and risky step! I strongly believe in living life without regrets, so does my friend. She got a nice tattoo on her back and she doesn’t regret about it. 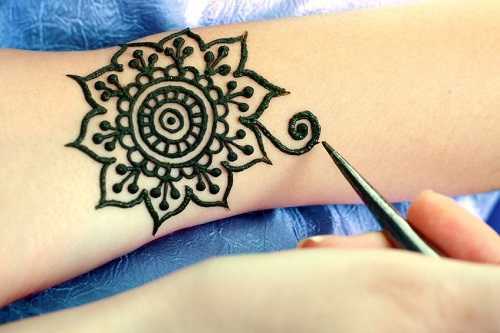 You can get a temporary tattoo instead of a permanent one, if you don’t won’t to damage your body. There are many reasons why people get piercings. If you’ve always wanted to get your ears pierced, then why not? You can also get your tongue pierced, albeit I don’t recommend this type of piercing, or just change up the style of jewelry that you would normally wear. I have my nose and ears pierced and what about you? Would you like to get a new spontaneous piercing? After having over 12 inches of long locks, I cut off my beautiful hair and got a pixie cut! You might think I’m crazy, but sometimes I love to spice things up for myself! I often step out of my comfort zone and change up my style! Have you ever tried a daring new hairstyle? Did you plan it, or was it spontaneous? Are you ready to get a bold haircut today? I have always been a huge fan of spontaneous day trips. When I spend a few days planning my trip, I often end up staying home because I have some other things to do. When I take a day trip spontaneously, I have no excuses to stay at home. If you are feeling depressed or you simply want to jazz up your life, consider taking a spontaneous day trip today. It can be an overnight trip or one or two day trip. Sometimes a change of scenery can do wonders! You don’t need to spend a lot of money on your trip, though. Opt for budget-friendly trips. This one is for thrill seekers! Unfortunately, I haven’t experienced this yet, but it certainly is on my list! I have to overcome my fears first. I have a lot of friends who have done it and would like to do it again! I think, it’s a good sign! Although bungee jumping may give you fantastic thrills, it’s not good for people who have any health issues. Are you the type of person that has to think twice before doing something? What is the most spontaneous and craziest thing you have ever done in your life? Spontaneous things help jazz up a boring life and fight a bad mood, stress and depression.